With the big conventions either just happened (Origins) or just around the corner (GenCon and Essen Speil) the game companies are gearing up with all sorts of hints and announcements of new releases. 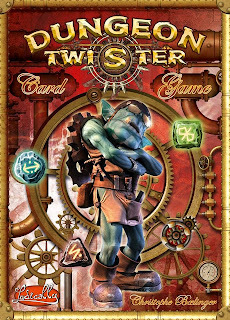 With that being the case this week’s News Collider is barely big enough to hold the biggest news of the week with sneaky peaks of the Dungeon Twister Card Game, The Amityville Project: Phobos from Mage Company, a Warmachine video game and an Assassin’s Creed board game. There is a game spoken in hushed undertones within my gaming group, a game considered so awesome that it must only be brought out on special occasions and even then must be protected with armed guards, a game I’ve not had a chance to play because these cosmic alignments never seem to align for me. The game is Dungeon twister, a rather silly take on the whole dungeon crawling affair where the dungeon changes as you play. 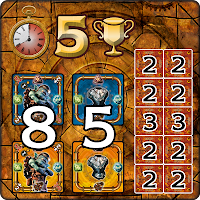 Dungeon Twister designer Christophe Boelinger let slip he was working on a Dungeon Twister card game. That was months back and now details have started to emerge about the game. “..you will be able to build your team choosing between a large array of characters and objects. Needless to say that this box by itself offers lots of possibilities, like if you owned a few boxes of DT expansions. 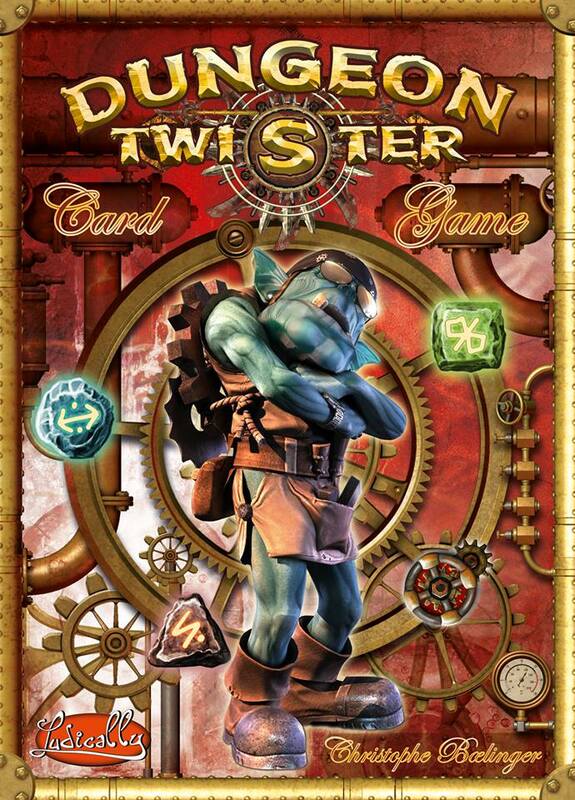 The Dungeon Twister card game will be on display at GenCon 2013 and is due for release later in the year. For more information check out Ludically.com and the Ludically Facebook Page. Mage Company has announced that after a full year of play testing they’ve polished their latest project to a mirror-like sheen and are ready to unleash its pulp horrors on the world. The Amityville Project: Phobos takes place in the 1960’s Amityville City where a shady organisation known as the Syndicate have been up to no good and have conducted a strange experiment. Sounds intriguing? The Amityville Project: Phobos is headed to Kickstarter on the 1st of September but if you can’t wait that long a print and play version is available now for free (yes I said free) from Mage Company’s print and play website. Over the last few months News Colliders have been full of tales of Warhammer 40,000 coming to a control pad near you in various video game incarnations. 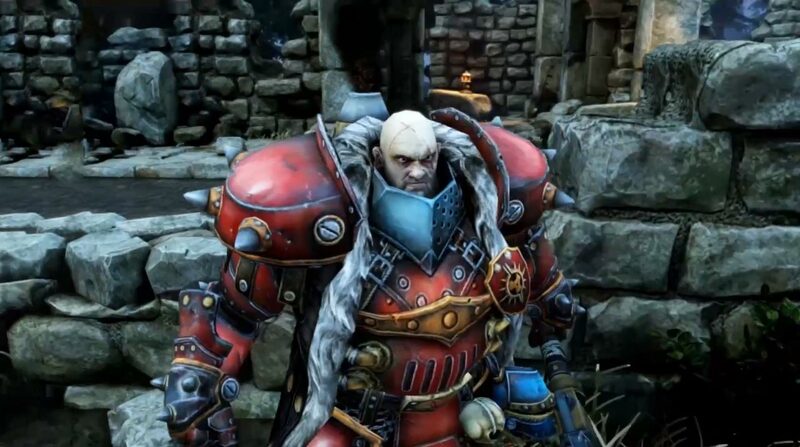 Not wanting to feel left out Privateer Press and WhiteMoon Dreams, an independent video game developer, have teased a trailer for the upcoming Warmachine video game; Warmachine: Tactics. The development will be funded via Kickstarter and will be handled by their new division Privateer Press interactive. Warmachine: Tactics, will be available for PC and Mac and will be a squad level, turn based strategy game, with a single player campaign and both synchronous and asynchronous multiplayer. The game is currently planned to include Cygnar and Khador factions with further factions being linked to stretch goals in the Kickstarter campaign. 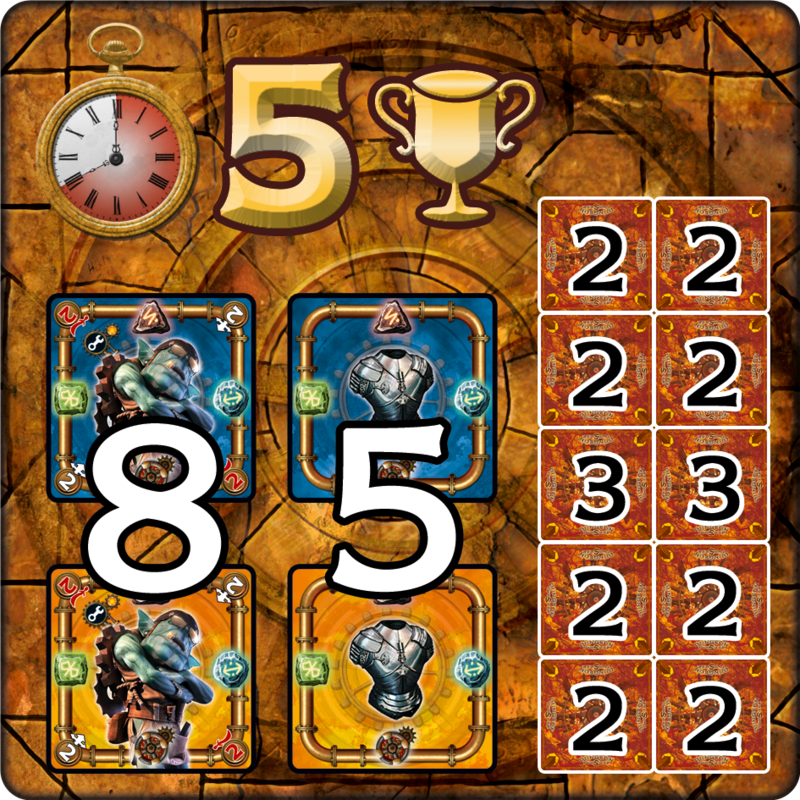 For more information go to the Warmachine Tactics page. One of my favourite videogame series ever has been Ubisoft’s Assassin’s Creed, there is something both exhilarating and calming about conducting an intricate series of parkour type wall runs and jumps before stabbing an unsuspecting guard with a hidden blade. 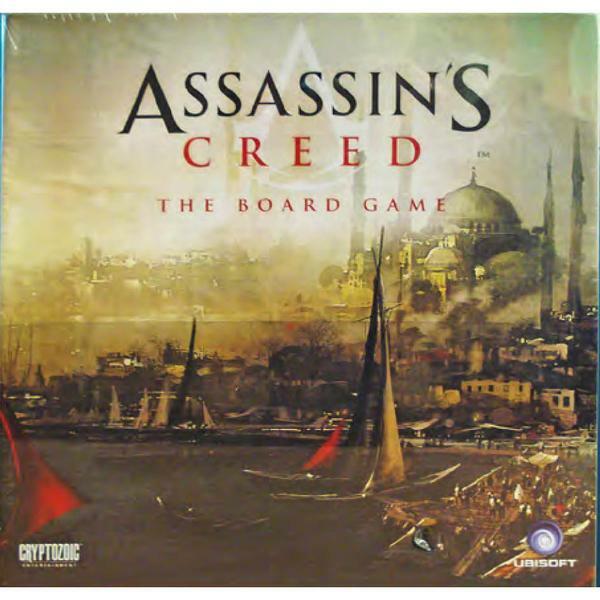 Well Ezio Altidore’s renaissance era antics will be coming to a table near you this Christmas in the form of Assassin’s Creed the Board Game. 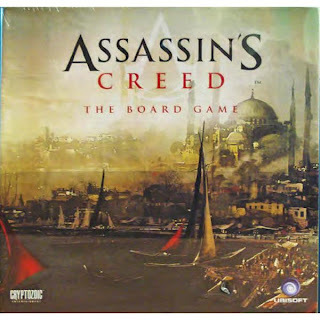 All we know is that the game takes place in Constantinople and will involve taking on the role of assassins attempting to take out their targets without being spotted by the guards. So far the only real details are the leaked box art and that it will be made by Cryptozoic, we’ll keep you posted as we learn more.